We have the second recipient helped by Lauren’s Wing! What a wonderful way to start the new year! 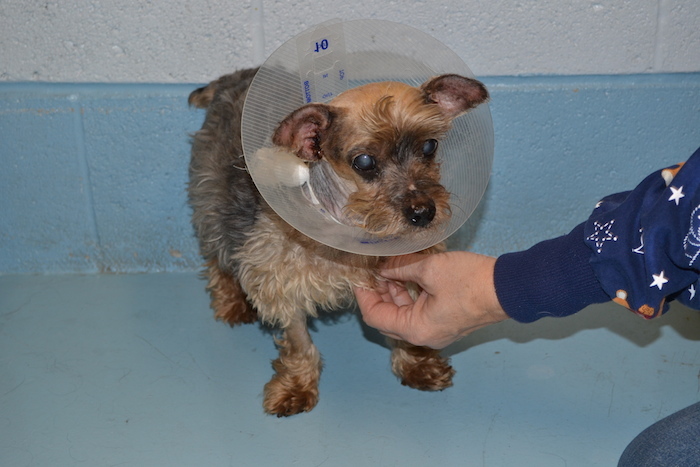 He needed exploratory surgery to determine health issues and provide our medical staff with the necessary information to determine his health needs to treat and medicate him properly and improve the quality of his life and adoptability. 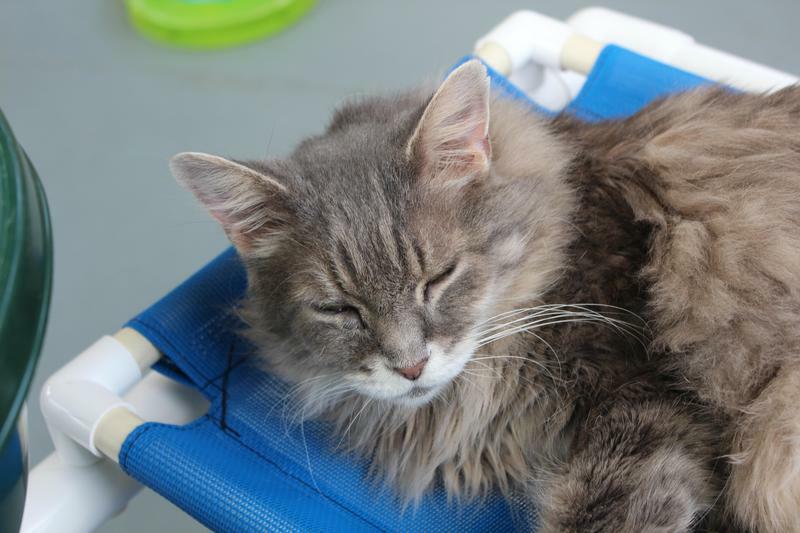 Melvin received his specialty surgery last week and was diagnosed with both sinusitis and rhinitis from complications from a past viral infection. 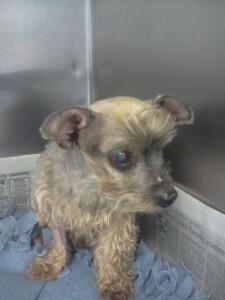 He also had an eye cyst that was expressed and treated. As we await culture results to properly medicate and treat him, he is now back at AFA resting comfortably. 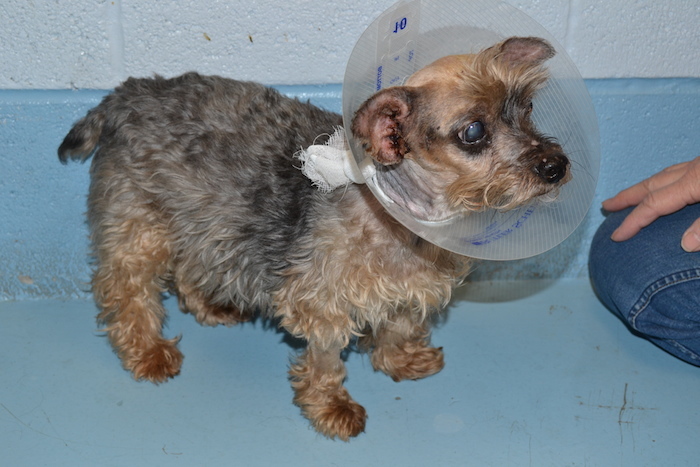 Chives is a six year old female Yorkie who was found roaming the streets. She sat at animal control for 3 weeks. When no one came forward to claim her and she was passed over by many who visited animal control (because of the massive growths coming out of each one of her ears), animal control (Hoffman Kennels) called AFA for help. 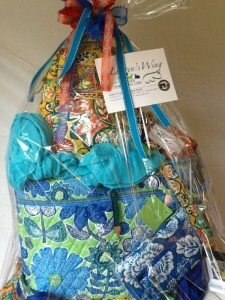 Lauren’s Wing is proud to announce a raffle for Vera Bradley goodies! Chances are 3 for $5. Tickets can be purchased at Action For Animals, or at the Cash Bash happening November 2 at Huber Hall in Latrobe. The Second Chance Fund of the Community Foundation of Westmoreland County has presented Lauren’s Wing: The Fund For Animal Care with a generous grant. Lauren’s Wing is honored to accept this grant. The Second Chance Fund was established in 2006 in memory of Fred and Kimberly Cecchini. The purpose of the fund is to donate to various non-profits whose mission and purpose is in sync with the Second Chance Fund. The Janessa Fleming Memorial Fund has presented Lauren’s Wing- The Fund for Animal Care a generous grant. Lauren’s Wing wishes to express our deepest appreciation to the Janessa Fleming Memorial Fund of the Central Pennsylvania Community Foundation. It is wonderful to know that Janessa Fleming’s vibrant spirit and love for life lives on through this foundation. Having been blessed to know Janessa during her lifetime and witness firsthand her devotion to family, friends, and animals makes this special contribution to Lauren’s WIng one that has truly touched our hearts. 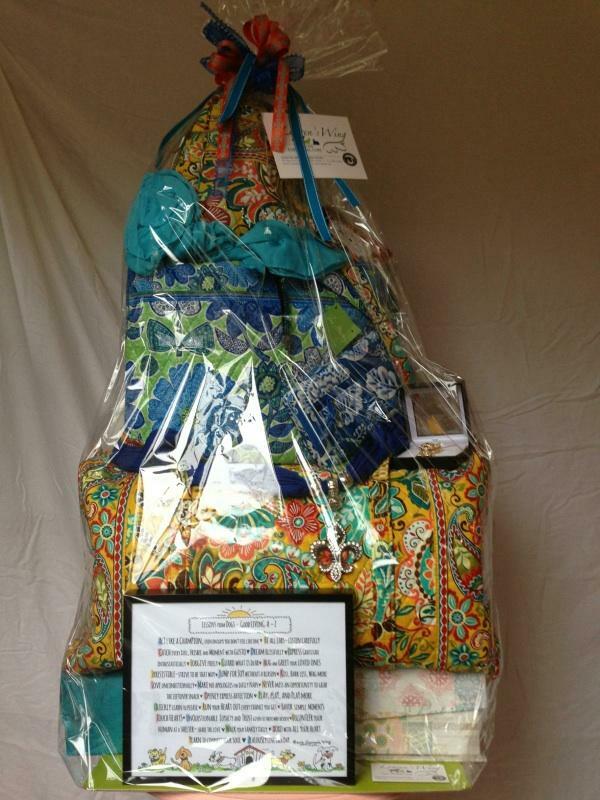 We are honored to have been selected to receive this very special donation. 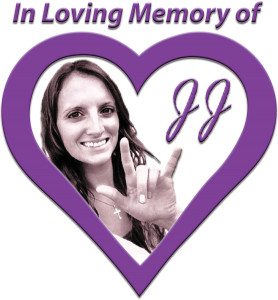 Janessa JoAnn Fleming, or JJ as she often liked to be called, was a beautiful person who was an angel among us who lived life to the fullest. She enjoyed spending time with her family, playing basketball, snowboarding, painting, and she had a deep passion for animals. Always equipped with a smile, she could befriend anyone in a matter of minutes. She strived to help others whenever she could and was pursuing a career in which she could continue to have a positive impact on other people’s lives. Lauren’s Wing – The Fund for Animal Care wishes to express our utmost gratitude for the generous donation from Latrobe Specialty Metals – Carpenter Cares Committee! 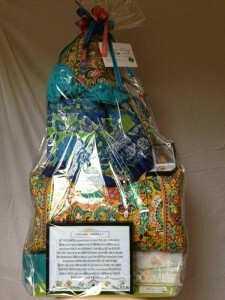 It is wonderful to know that corporations in our community care and wish to give back. Donations like the one from Latrobe Specialty Metals – Carpenter Cares Committee are proof that large companies can have large hearts- and ours at Lauren’s Wing are indeed grateful that they have considered our endeavor worthy of support. Lauren’s Wing was recently featured in the Tribune-Review newspaper. If you missed it, you can read the article online here. Thanks to Stacey Federoff for taking time to talk with us!